Summary: AFF plan restores or unfreezes the suspension of US military aid announced by Pres. Trump in early 2018. 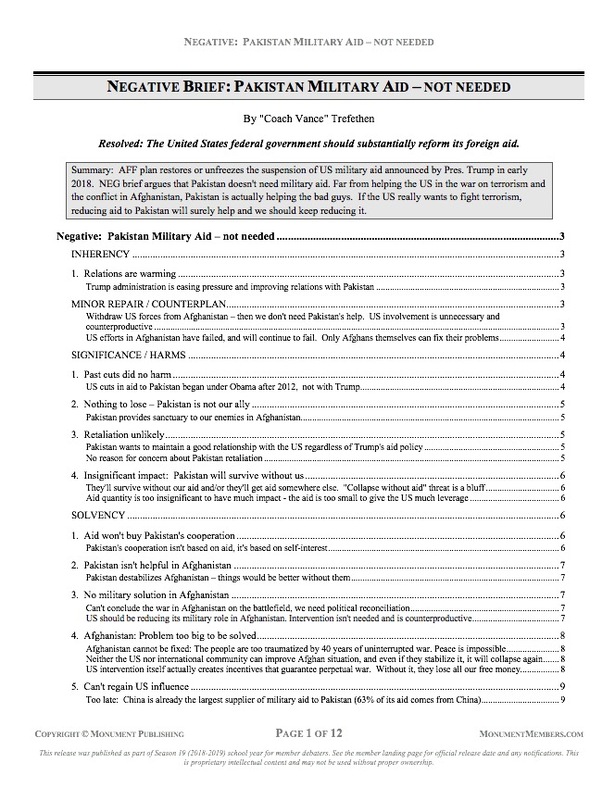 NEG brief argues that Pakistan doesn’t need military aid. Far from helping the US in the war on terrorism and the conflict in Afghanistan, Pakistan is actually helping the bad guys. If the US really wants to fight terrorism, reducing aid to Pakistan will surely help and we should keep reducing it.